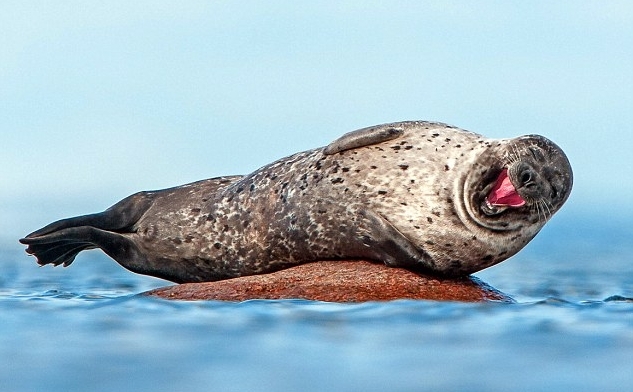 This seal looks like it has just been told the joke of the century. 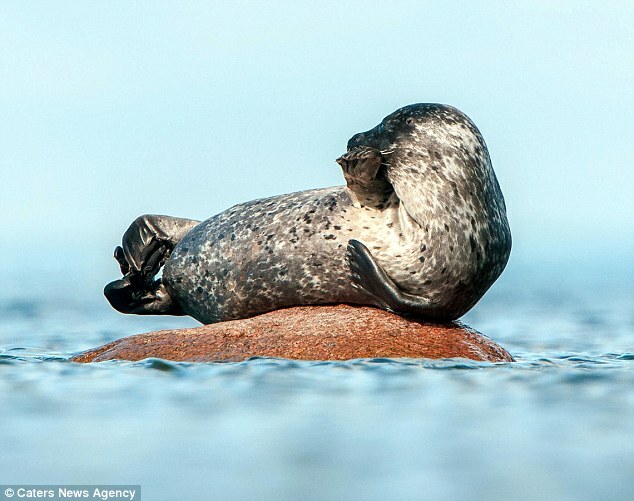 It was caught cracking up and blowing kisses while lying on a rock in the clear blue ocean near an island off the Swedish coast. 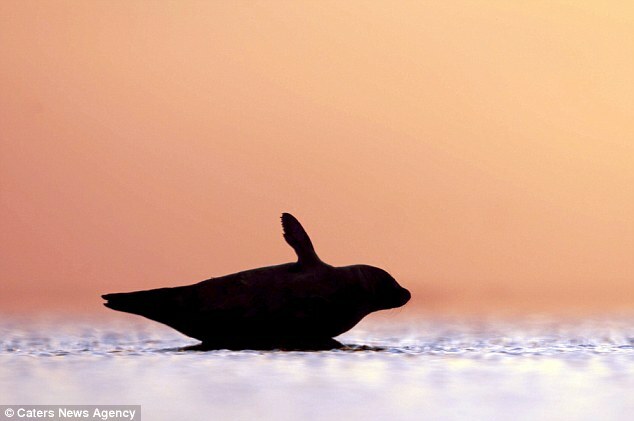 The pinniped was caught on camera by amateur wildlife photographer Martin Thoma, from Germany. 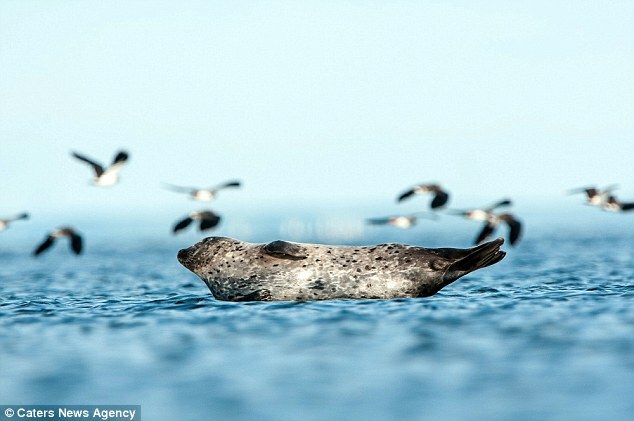 Mr Thoma, 49, said: 'It was not easy to get these pictures - at first the seals were very shy. 'I visited them every day and they started to relax around me as they got used to me. 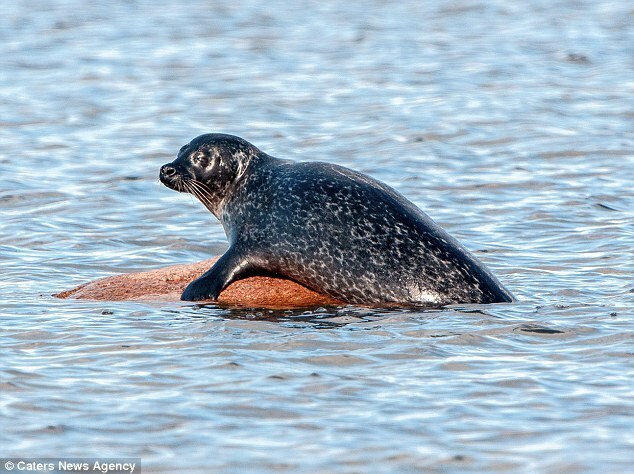 'I'm sure the seal had a fun time and enjoyed the sun on the rock. 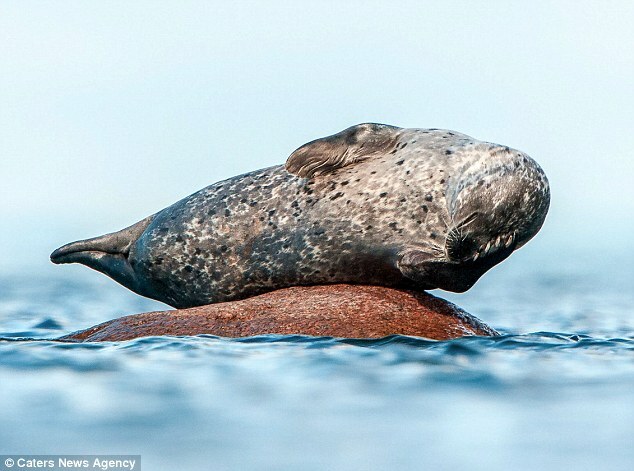 During the winter months grey seals can be seen hauled out on rocks, islands, and shoals not far from shore, occasionally coming ashore to rest. In the spring recently weaned pups and yearlings occasionally strand on beaches after becoming separated from their group. 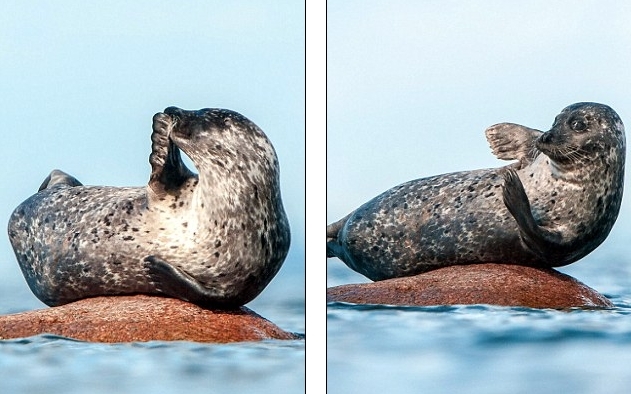 Responses to "Seal enjoys a good chuckle after finding a nice rock to stretch on"